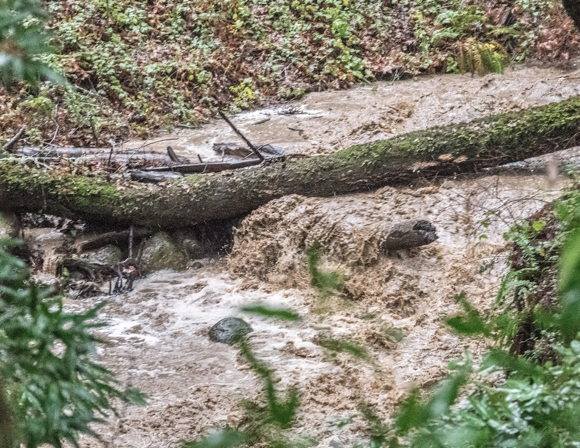 InMenlo contributing photographer Robb Most ventured out along Alpine Road yesterday and captured some dramatic shots of the raging creek, which we feature here. InMenlo weather watcher Bill Russ recorded another .85″ from 3:00 pm yesterday to 8:00 am this morning. His season-to-date is now 13.50″.